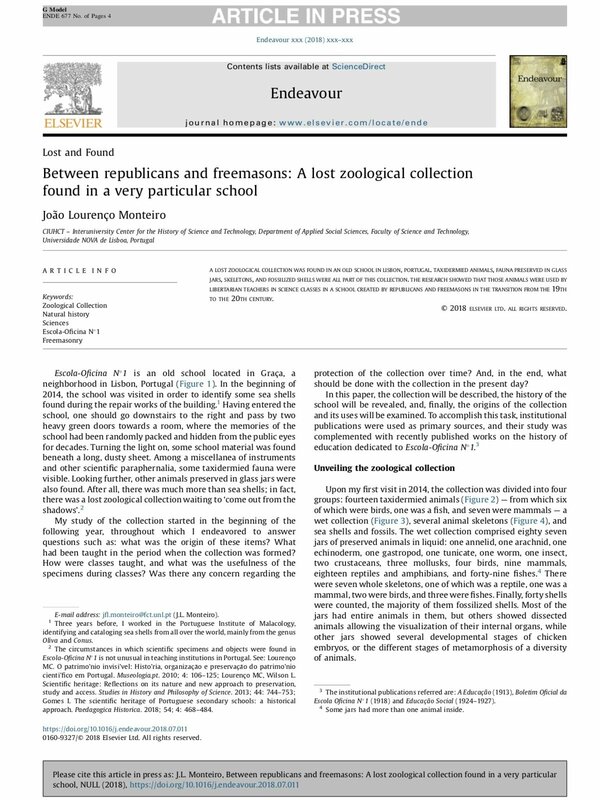 A lost zoological collection was found in an old school in Lisbon, Portugal. Taxidermied animals, fauna preserved in glass jars, skeletons, and fossilized shells were all part of this collection. The research showed that those animals were used by libertarian teachers in science classes in a school created by republicans and freemasons in the transition from the 19th to the 20th century.